About a week before leaving for Singapore, I’d been in a meeting with some people from the Victorian government, talking rail tunnels and level crossing removals. I mentioned I was going, and asked what I should look at. Turned out they were about to send some of their people off overseas to exchange ideas with counterparts in various parts of the world – including Singapore, on a day I’d be there. And would I be interested in tagging along? You bet I would! 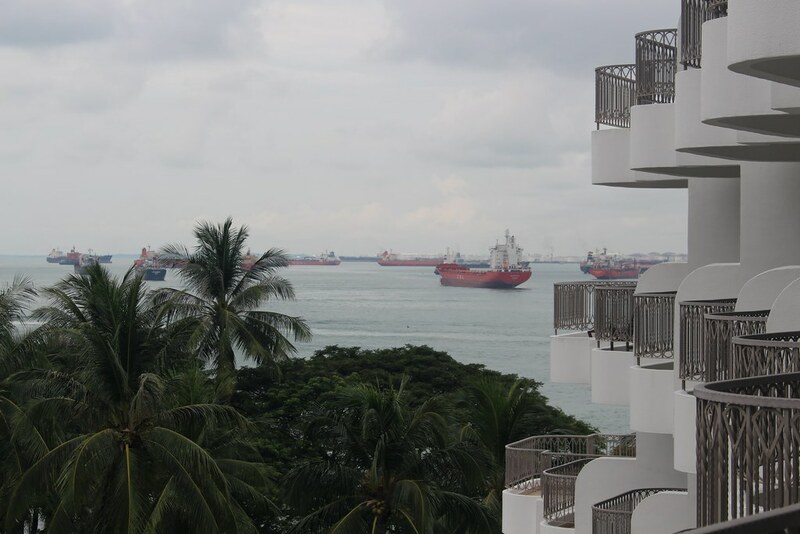 So it was arranged, on Saturday morning I headed for a hotel off Orchard Road for our meeting. We were taken to the nearby Orchard station site for a briefing and a tour. 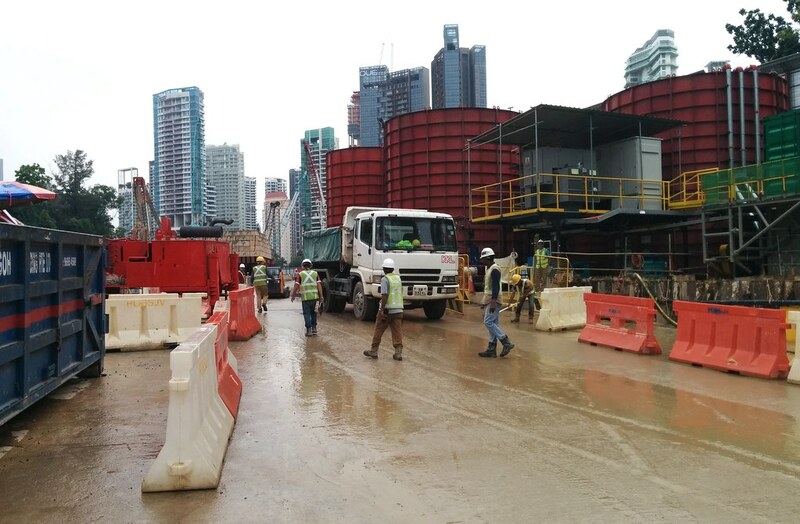 Blasting for underground tunnels includes going underneath a hospital. Timing is worked out to not clash with MRI sessions. They’re also tunnelling close to the Prime Minister’s house. 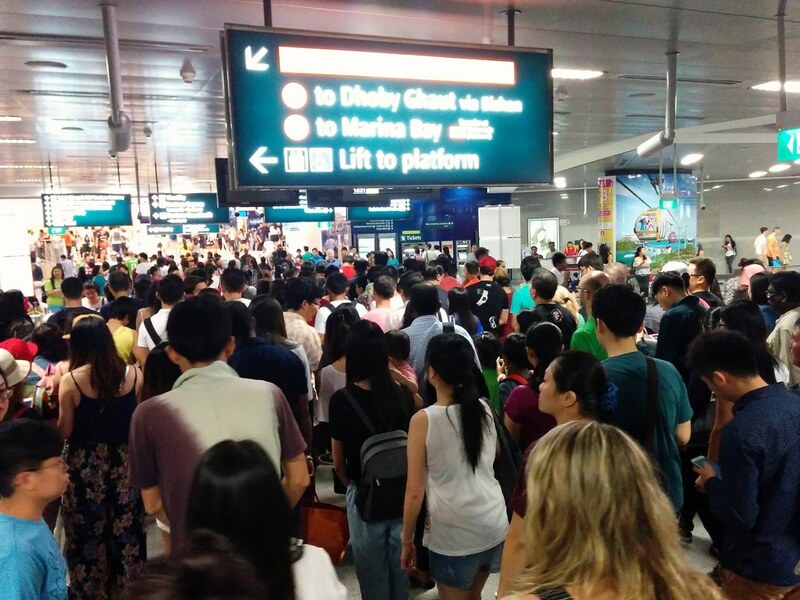 Each station on the line is separate contract, but the whole Thomson-East Coast line is costing S$24 billion. It has a projected daily ridership 400,000, which isn’t too much lower than the ENTIRE Melbourne rail system. Underground stations are developed with provisions for development above, but there’s no real certainty it will happen – it’s up to property developers. 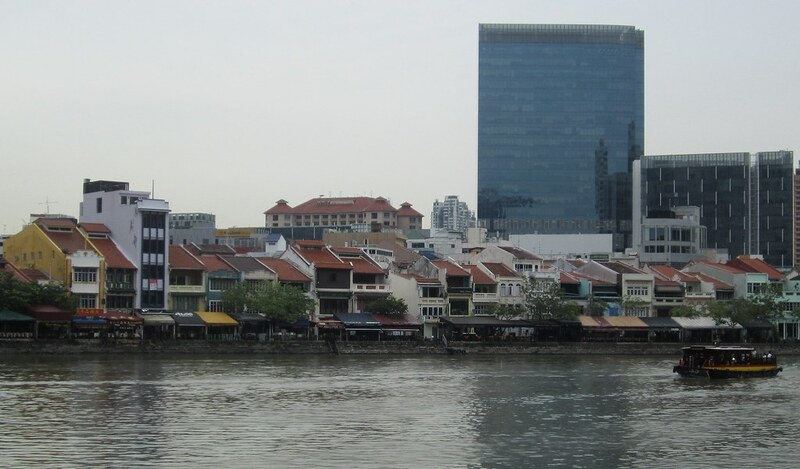 From what I saw around Singapore, development around and above stations is common, but not universal. Part of the project includes a triple deck train depot (to save space – approximately 60 football fields – we’re not the only city that measures land area in these terms) combined with an adjacent bus depot, to store 220 trains and 550 buses. Importantly, they make a big effort to keep people informed. There’s a construction blog, and an education centre for hosting briefings like ours. 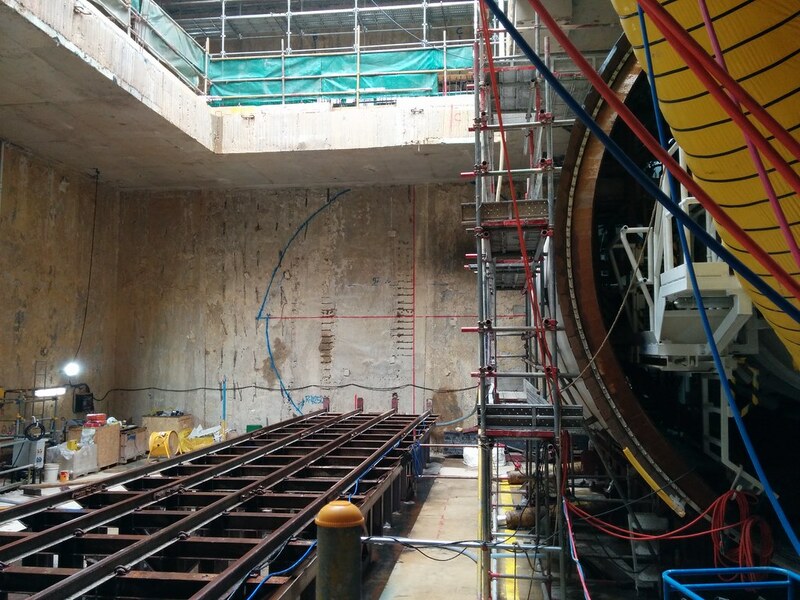 We looked at the tunnel boring machine (TBM) on the site, which was very impressive, and not at all boring. 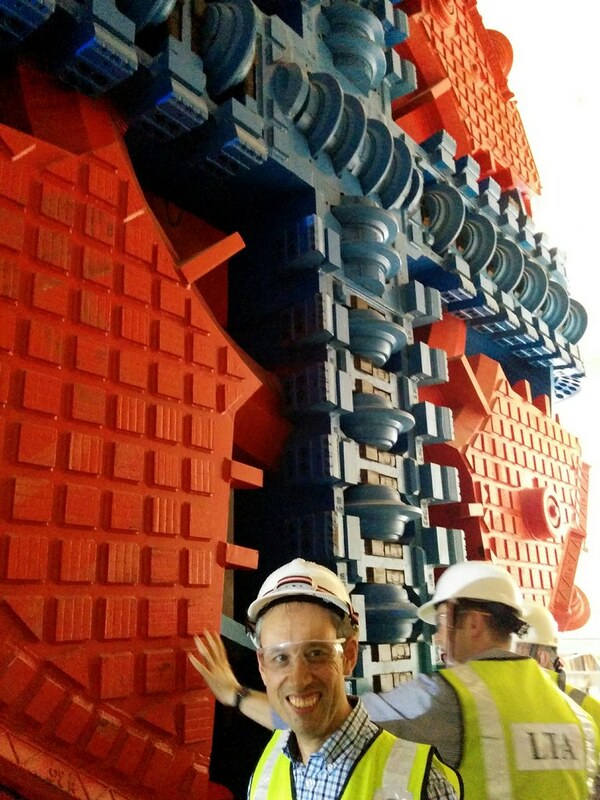 Interestingly the Singapore project is using a new development in TBMs… a rectangular “box jack” TBM. 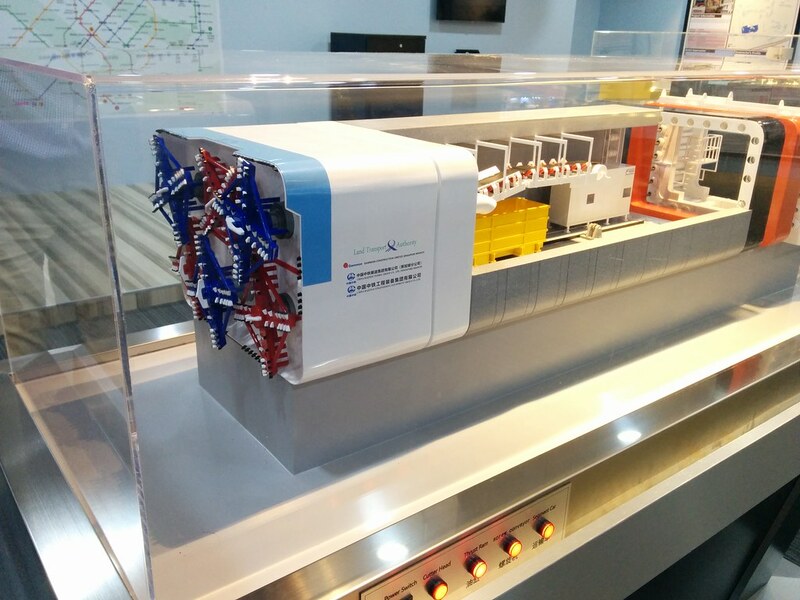 This got the Melbourne people rather excited – parts of the Melbourne metro rail tunnel project would benefit from emerging technology like this. This of course is the whole point of getting our people heading around the world to look at others’ projects – the exchange of ideas could be of huge benefit. Alas I couldn’t stay for the whole tour – they went on to look at a lot of different parts of the network. I headed back to the hotel. 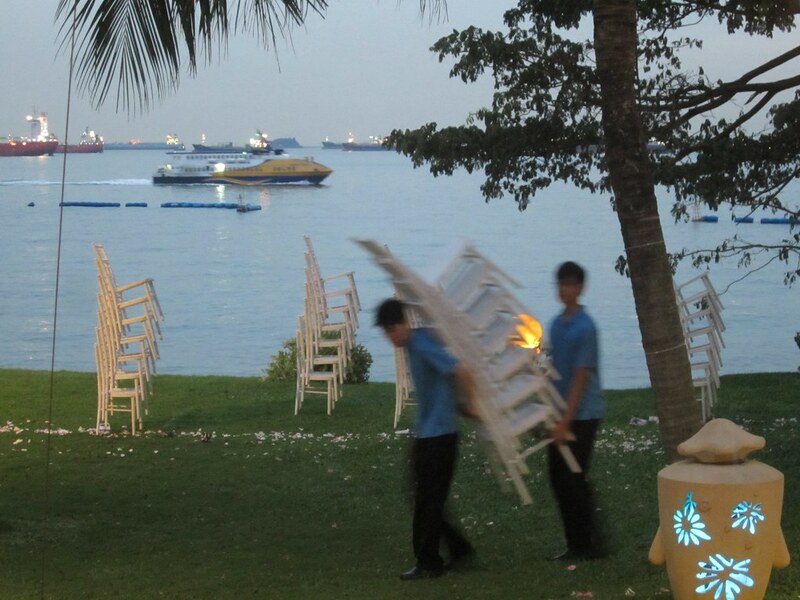 We had to head to the island of Sentosa for the wedding. 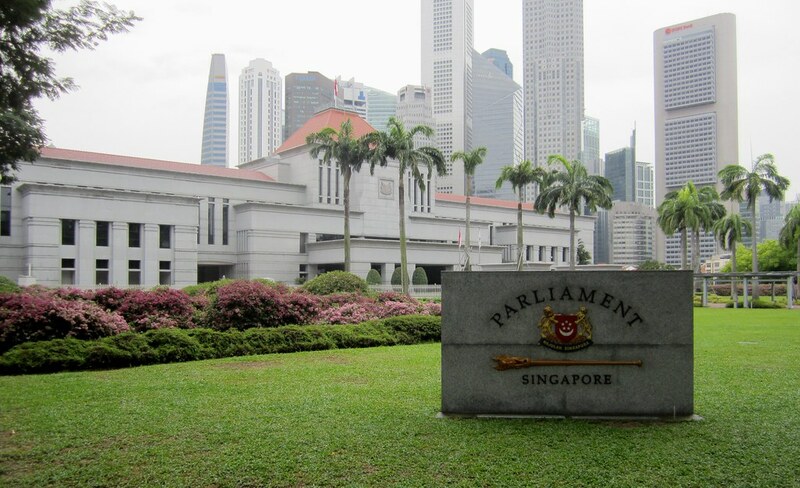 But first we walked down to the river, past the Singapore Parliament building, and found lunch in the back of the museum: a rendang burger and crisps. Yes, crisps. And a Nutella milkshake. Nom nom nom. Back to the hotel and we picked up our bags and caught the MRT to Harbourfront, exiting to the huge VivoCity shopping centre above. It’s like Chadstone with a railway station. Ah. Saturday afternoon. Peak shopping time? Huge crowds, both coming off the train and throughout the centre itself, made progress with luggage a bit slow. 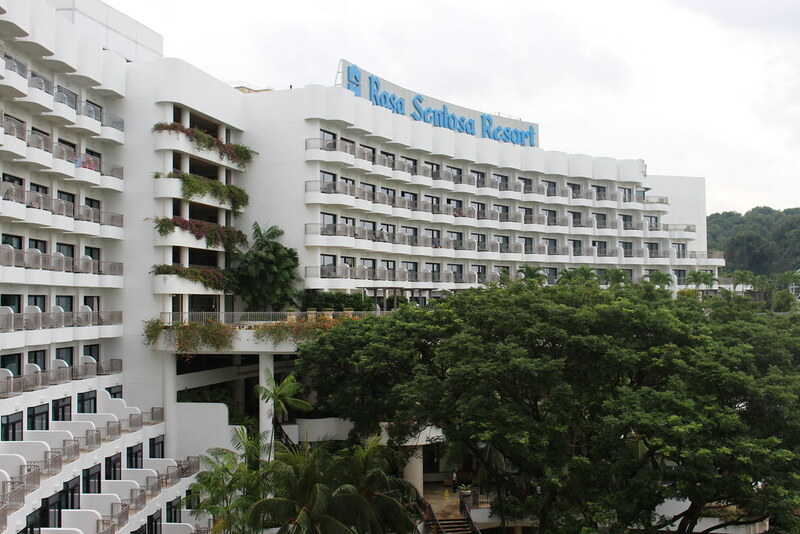 Our destination was a hotel on Sentosa, a resort island on the south-western side of Singapore. It’s an island dedicated to recreation – with beaches, amusement rides, cable cars, theme parks, restaurants and hotels. We eventually found the stop for the shuttle bus to the hotel. 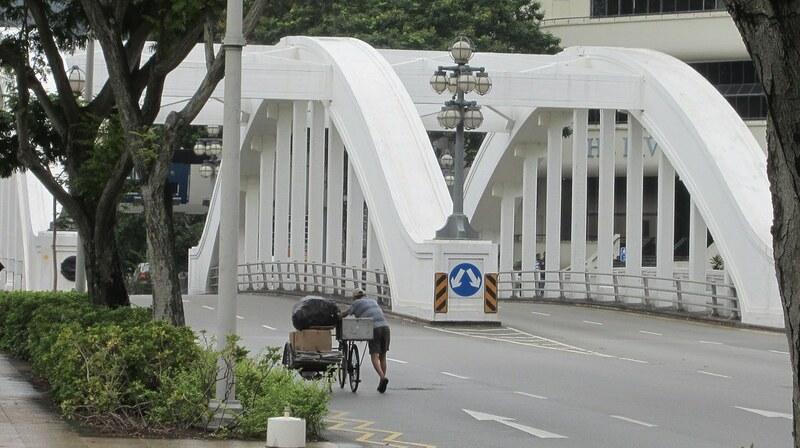 Of the various transport facilities I saw in Singapore that weren’t under construction, it was the least well-appointed. 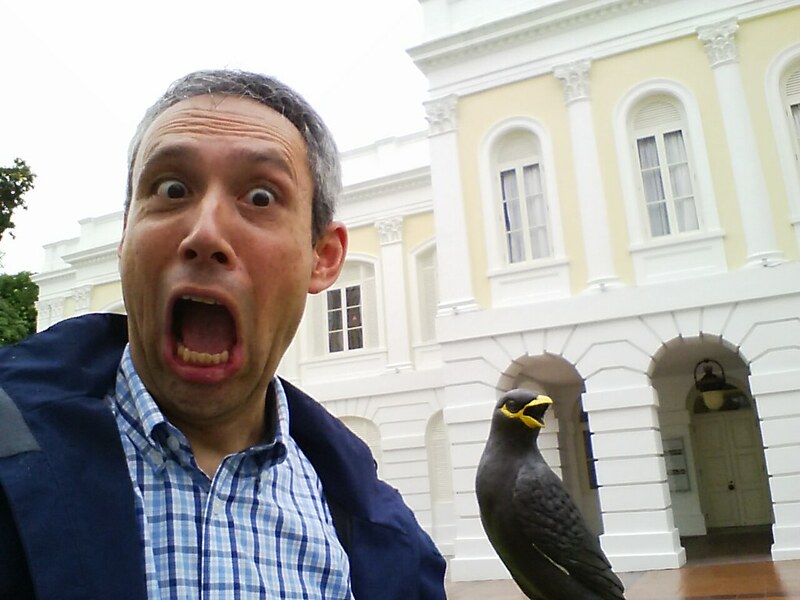 I wonder if that was because it was provided by private enterprise, not the well-organised Singapore government. 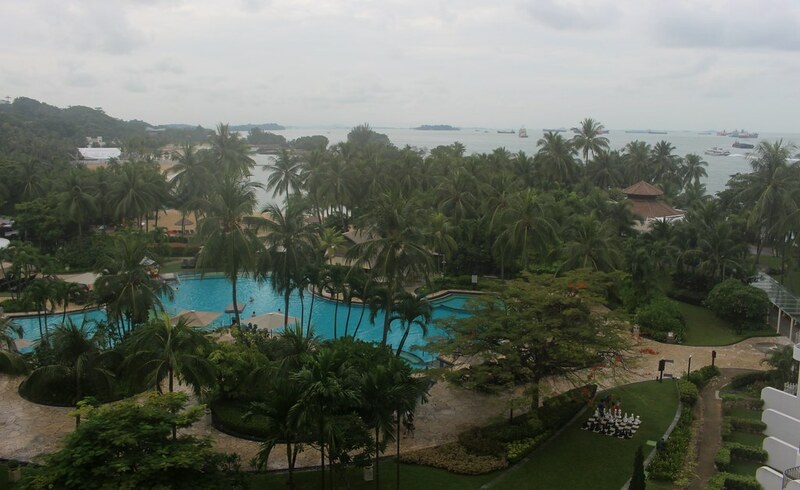 With the assistance of some fellow shuttle bus riders (no don’t get off here; that’s the hotel staff entrance), we arrived at the very fine Shangri La resort and checked in. We went to explore the resort. Of course it’s right on the beach – with a view of numerous container ships sailing past – but also has swimming pools, and numerous other facilities for either active (swimming, table tennis) or passive (lazing around sipping drinks) recreation. 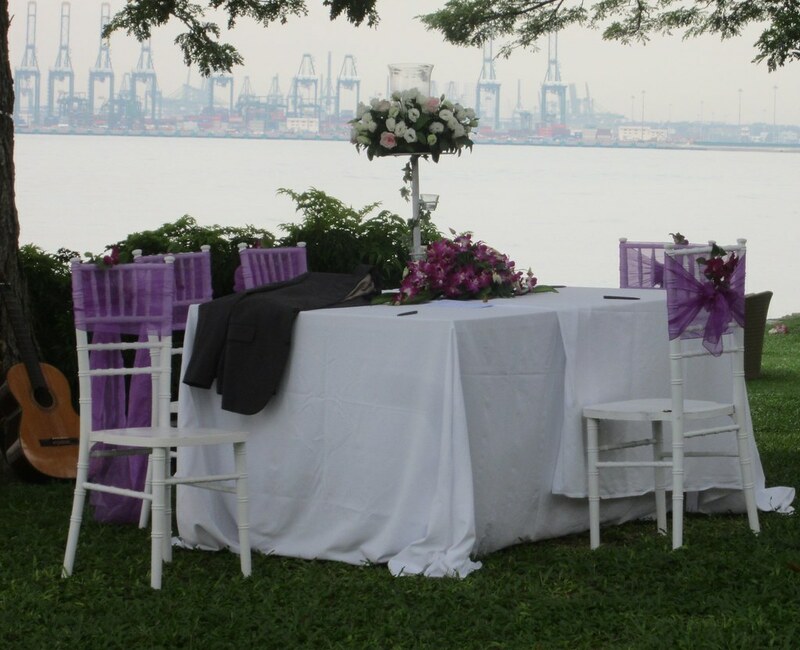 And so to the real reason for being in Singapore: the wedding of my cousin Justin and his fiancee Valerie. It started in the afternoon, and the reception went into the evening. The rain held off, and I’m not going to drone on about it, but it was all perfect, and a pleasure to be there. I still don’t understand why the whole Metro project can’t be TBM’d. Maybe I’m naive but if London can do it and Singapore can do it why can’t Melbourne?